Skin changes with age, we all know that. But how often does skin change, and the causes for these changes is something we may not know. In a previous blog, we discusses women’s skin and how it changes overtime due to hormones, pregnancies, and menopause. Women’s skin goes through a lot and changes a lot as a results, but what about men’s skin? How does men’s skin change over the years and what causes these changes? Our Boulder dermatology experts at Azeal Dermatology Institute can help men learn more about their skin and give them tips on the best ways to care for their skin. We offer many services that can help transform your skin to be healthier. 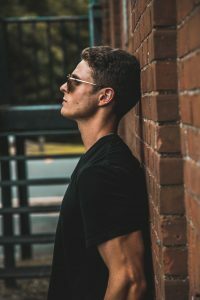 In this blog, we are going to take a look at men’s skin, the changes it goes through, and what to expect as you age. Read on to learn more about your skin and how it changes overtime. Puberty is not a great time for men or women, with awkward transitions between stages of life and many different things happening to our bodies. When boys hit puberty, they are generally between ten and 17. During this stage of their lives, boys begin to produce large amounts of testosterone, causing several changes, including growing facial and body hair and an increase of sebum. An article from Just About Skin explains it like this: the testosterone stimulates the sebaceous glands that are attached to each follicle or pore in the skin, and this causes the skin to become oilier. This oil increase in the skin causes pores to fill up with oil, creating an environment that is perfect for that bacteria that causes acne. When testosterone kicks in, boys are more like to have acne breakouts. If teenage boys also have poor hygiene habits, they will be more likely to have acne breakouts. This large increase in testosterone starts during puberty and will continue into the early 20’s. After 30-year-old, men will begin to produce less testosterone at a rate of 10 percent per decade. This is called male menopause or andropause. 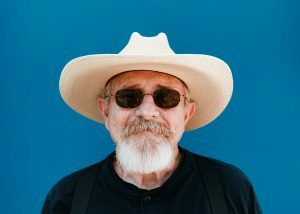 Male menopause is not the same as menopause is for females. An article from Dermascope discuss that some men may not even notice a difference while others may experience mood swings, a lower libido, and changes in their body composition. But this lower testosterone level will affect their skin. Sebum production is reduced with the lower testosterone production, this may cause the skin to become dry and rough. The levels of collagen also decrease with the decrease of testosterone. When collagen production is reduced, men may notice that their skin becomes wrinkled, saggy, and older looking. When you look at our previous blog about how a woman’s skin changes as her hormones change, there is a lot more going on with her hormones and skin. There are two real period of a man’s life that will have a big effect on his hormones and skin. Women go through many more changes than this. This may be the reason why it seems like men age better than women. Let’s take a closer look at how different men and women’s skin truly is. According to Huffington Post, men’s skin is less susceptible to the signs of aging. This is because they have thicker skin. Their testosterone levels add thickness to their skin. Men’s skin is approximately 25 percent thicker than women’s skin. The Huffington Post article also mentions that men’s skin has a slightly rougher texture, higher collagen density, and more natural moisture in their skin because they generally sweat more, and their sweat contains more lactic acid. While men and women both will begin to lose collagen at the same time, around the age of 30, the collagen levels in women decrease at a faster rate during menopause. While women are aging quicker, men are aging gradually, like fine wine. Just because women experience more hormonal and skin changes throughout their lives, and may age faster than men, does not mean they are the only ones who can benefit from dermatology services. If you have unwanted wrinkles, acne problems, or any other skin concerns, contact Azeal Dermatology Institute today. We can help you get the treatments and results you want and make sure your skin stays looking better for longer. Make an appointment now!